The very mention of Tombstone brings to mind images of the lawless Old West, gunfights at the O.K. Corral, epic feuds between the Earps and the Mclaurys and Clantons, Gold Rush fever and the promise of silver and gold. 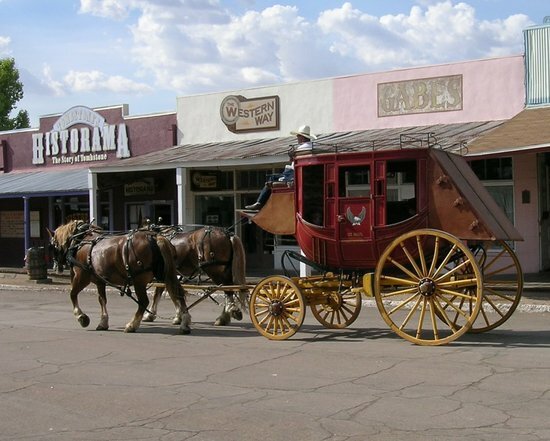 The heritage of the American West is still alive here today, where historic saloons, post offices and the famous Boot Hill cemetery stand restored and painstakingly preserved alongside more modern, tourist-focused recreations of period architecture.